The Game of Thrones opening title sequence is famous for changing every episode. The clockwork map of Westeros shifts and changes, as the camera soars over it, lingering on the locations that will be relevant for the episode it precedes. There is one thing about the sequence that hasn’t changed though: the astrolabe. 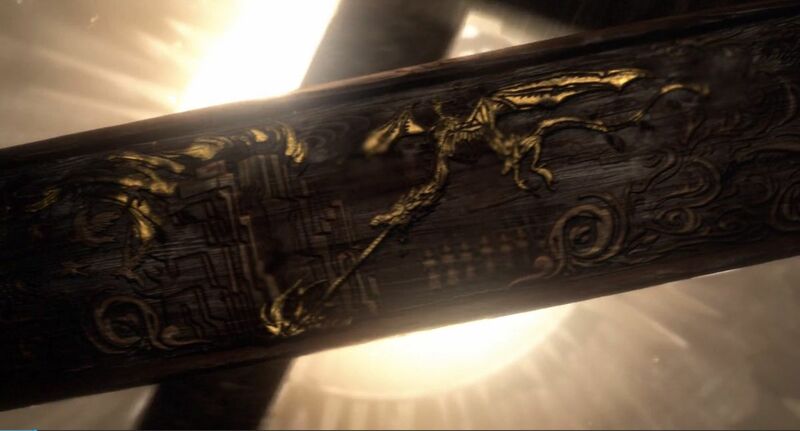 The intricate turning of the astrolabe, which we now know to be the giant hanging fixture in the Citadel library, is cut to three times during each opening title sequence, and always has the same three carvings in it. Until, however, the first episode of season 8, the show’s final season. The first of the astrolabe’s traditional carvings depicts a dragon, a great city, and a volcano. This is meant to represent the Doom of Valyria, a volcanic eruption that destroyed the world’s greatest civilization, the Targaryens are one of the few Valyrian families to have escaped the doom. The second carving on the astrolabe shows images shows a dragon, beset on all sides by a stag, a wolf, and a lion, depicting the events of Robert’s rebellion. 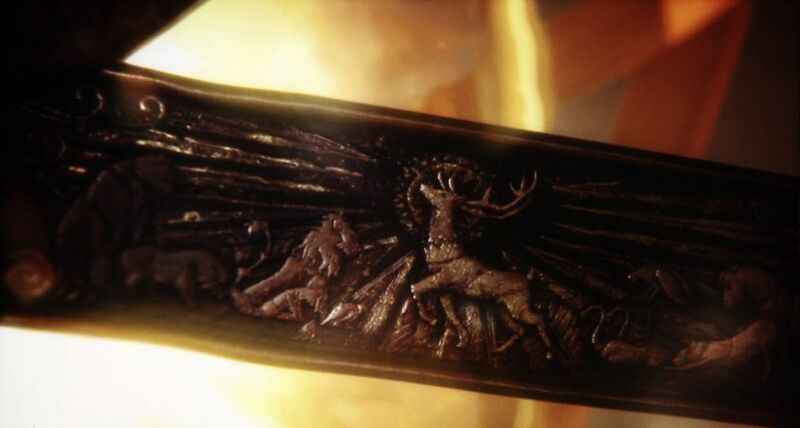 Finally, there’s an image of what can only be Robert Baratheon on the Iron Throne: a stag sitting on a throne, with all of the other animal sigils, most prominently a lion, bowing before it. This opening sequence was designed as a subtle history lesson. A brief reminder of some of the most important historical events that preceded the events of Game of Thrones. 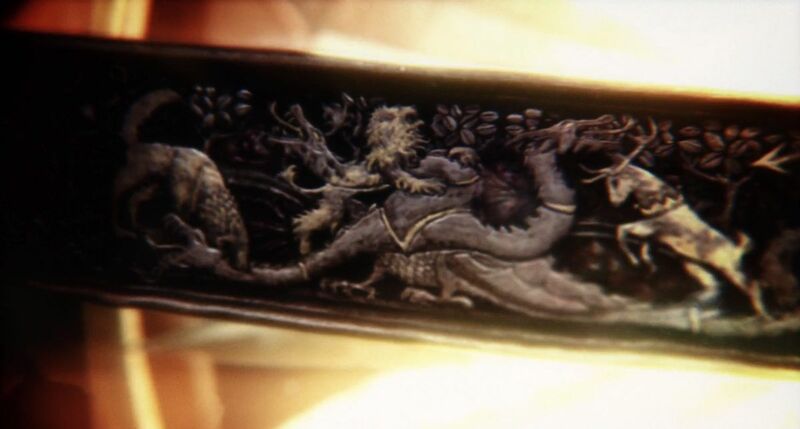 The images engraved into season 8’s title sequence offers a more recent history — or, if your theory brain is wired for clues, a glimpse of the future. 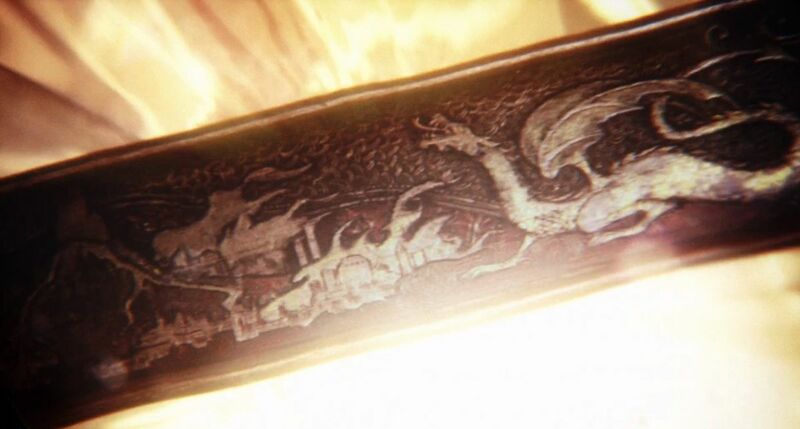 The first thing we see in the new sequence is an image that appears to be Viserion burning a hole through the Wall, with the Night King on his back. In front of the wall, the Night King’s dead soldiers wait to enter the rest of Westeros, on the other side, crows flee south. It’s an effective reminder of just how high the stakes are this season and the unforgettable end to season 7. This carving seems to be a depiction of the Red Wedding. 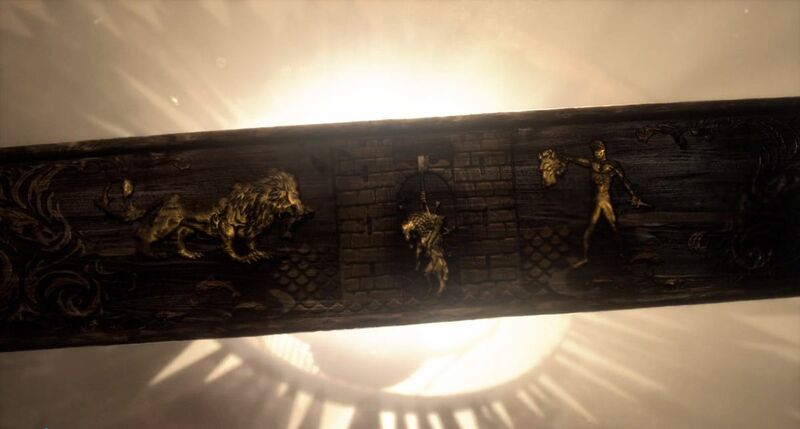 In the same house sigil-based characterizations from the old opening, we see a flayed man — representing house Bolton — holding up the head of a wolf, Robb Stark, to an appraising, but pleased lion, meant to represent Tywin Lannister who orchestrated the plot. Between them stands the Twins, the castle of the Frey’s where the Red Wedding happened. A Direwolf hangs from the arch between it’s two high towers. While this is a memorable moment in the show, it’s also a reminder of how Winterfell came under the rule of the Stark children, and their guests, who are the main focus of this episode. The final image is a little bit more complicated. It clearly depicts four dragons, a host of bowing horses, and a comet flying through the sky. 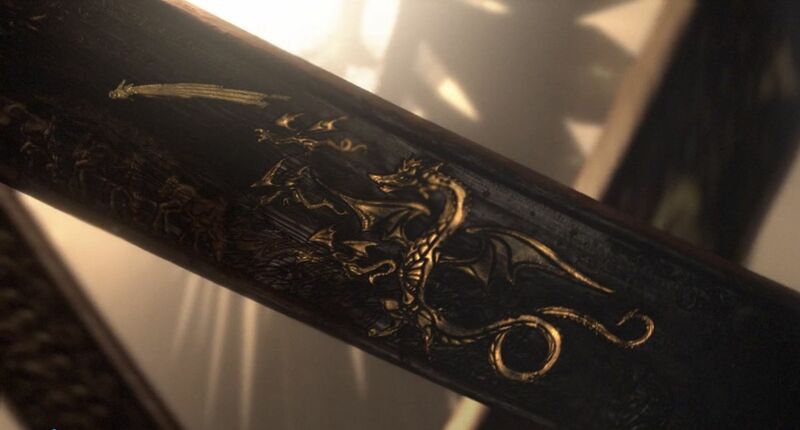 While some have speculated that this is a hint of another dragon that hasn’t been introduced to the show yet, there is a better explanation. This scene is likely depicting Daenerys’s rebirth on Khal Drogo’s funeral pyre. The largest dragon, the one in the foreground, is Dany, symbolically represented by the sigil of her house just like in the other images. The three in the back are her original three dragons: Drogon, Viserion and Rhaegal. The horses in the front are the Dothraki that remained loyal to her, and the comet above them is the red comet, which is thought to symbolize the return of magic to the world. The cosmic entity flew over the sky first when Dany’s dragons were born. In the past, the astrolabe images have set a historical foundation for the series. Now they’re preparing us for specific episodes. The carvings are more prominent than ever, and it’s possible that, like the map locations, they could change with each episode of the show’s final season. As with everything on Thrones, keep your eyes open and your thinking cap on.